Best Nutrition for Depression – Chocolate? There are several types of nutrition for depression commonly used today. Some people really believe that they can actually relief depression. However, do these supplements really work on depressed people? Today we will unveil some of the depression nutrition and give you some explanation about these supplements. It would be too good to be true: depression avoided by proper food. In fact, we hear again and again, that some food should help your depression. For example, chocolate is going to help the depression or to help prevent it. More recently, omega-3 fatty acids and tryptophan residues are common subject in the conversation when it comes to depression. But can these foods actually help in depression? Tryptophan is an essential amino acid that is absorbed by the food. It is called essential because our body can produce it by itself. Tryptophan is needed to build various proteins in our body. It is a precursor of various neurotransmitters in our brain. One can find the tryptophan in many different foods, for example in milk, meat, eggs or potatoes, or in the cocoa bean. Those foods provide tryptophan in high doses. Investigations showed that in a common diet, which have foods with very little tryptophan, increased the signs of depressive mood significantly. Apparently some people think that eating alone can help the body to get tryptophan sufficient for depression relief. However, data has shown that many people don’t meet the normal daily intake of tryptophan. You should also be aware that excessive intake of this nutrition for depression is not recommended. Too much of this substance can also disturb your health. As mentioned above, the cocoa bean contains a great deal tryptophan. Often we read that chocolate would boost the body’s production of serotonin. In fact, many people swear about the happy-making effect of chocolate. Some people even make chocolate as their desire, so that they eat chocolate every day like an addiction. 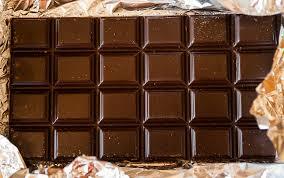 Chocolate is not an addictive substance, it actually has psychoactive properties. However, the tryptophan contained in regular chocolate is not that high. The happy-making effects of chocolate seems to lie in the carbohydrates that are present in the chocolate. The chocolate flavor give us comfort and happiness, at least for the moment. The gentle melting of chocolate on the tongue, the wonderful sweetness, sometimes even bitter taste probably bring everyone into a trance. In fact, chocolate can help to overcome our short term depression, but it is certainly not a cure for depression. Omega-3 fatty acids help both preventive and curative against many diseases. The high dose of these s-called unsaturated fatty acids are found in fatty fish such as salmon or sardines, and also in vegetable oils such as linseed oil, rapeseed oil or soybean oil. As we now know that omega-3 fatty acids actually help prevent against cardiovascular disease. In previous studies it was found that people who took a lot of these fatty acids are less often diagnosed with depression. In addition, the suicidal tendencies seemed to be lower in these individuals. Why this was so, whether these fatty acids actually intervene in the production of neurotransmitters dopamine and serotonin, is still not clear. It’s not even really clear whether they had lower depression tendency to actually do something with the fatty acids. A depressive effect is not so proved. For further reading, we recommend you to read our natural remedies for depression post. I think that is all for now. Remember to add some comments about the nutrition for depression, and tell us which one you usually take.